I had so much fun creating this fun little purse, and I am sure any little girl would love it! Crochet World is available in most supermarkets, and NOW Barnes and Noble, too! >Happy New Year, everyone! Did everyone have a wonderful holiday season? It has been a whirlwind two months for me, completing crochet deadlines, finishing all my projects, and of course, preparing for the holidays! My family and I had a fabulous Christmas and a great New Year. I am so sorry for it all to be over. Now it is time to buckle down and decide which projects I need to work on next. I have tons of paperwork to do, also! I hope to post about my new projects in the near future. 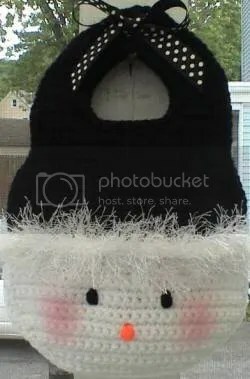 For right now, I wanted to post a link about a crochet study project that has come to my attention. Click on this link here to read about Vashti’s Independent Crochet Study Project. If you have the time, it sounds quite interesting! Happy New Year, everyone! Did everyone have a wonderful holiday season? It has been a whirlwind two months for me, completing crochet deadlines, finishing all my projects, and of course, preparing for the holidays! My family and I had a fabulous Christmas and a great New Year. I am so sorry for it all to be over. Now it is time to buckle down and decide which projects I need to work on next.